The Wild & Scenic Rivers Act Turns 50! In October 1968, the Wild and Scenic Rivers Act was established when Congress determined that “the established national policy of dams and other construction at appropriate sections of the rivers of the United States needs to be complemented by a policy that would preserve other selected rivers.” Wild and Scenic designation protects free-flowing rivers with outstanding natural, cultural and recreational values. The designation prohibits harmful development, preserves historic uses, and safeguards designated rivers for future generations. Of the roughly three million miles of rivers in the country, only a little over 12,000 are protected as Wild and Scenic. In Colorado, Congress granted Wild and Scenic protection to the Cache la Poudre in 1986 - currently our state’s only designated river (though discussions are underway about designating Deep Creek). Pictured: Cache La Poudre River. 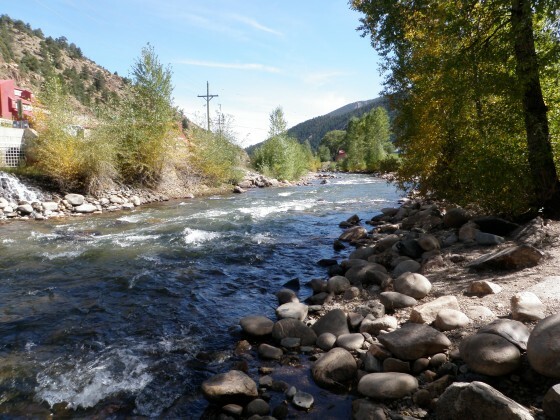 While Colorado has only one formally designated Wild and Scenic river, the Act has helped spur other protections for rivers using state and local tools. One such example emerged in the aftermath of the Two Forks battle, as the review of the South Platte for possible designation prompted development of the South Platte Protection Plan. The Plan includes measures to provide recreational access to Denver Water properties, to manage reservoir releases for flow and temperature goals below Eleven Mile and Cheesman Dams, and to fund ongoing investments in the river corridor’s values through a $1 million endowment managed by the South Platte Enhancement Board. To celebrate the 50th anniversary of this landmark legislation, Colorado TU is joining with the Coalition for the Upper South Platte and the US Forest Service to host a day of service on the South Platte River near Deckers, with volunteers helping to pick up trash along the river corridor. The river clean-up event will take place October 6, 2018, from 9am to 3pm, with volunteers meeting at the Deckers Store. Bring your friends and family along and enjoy a great day on one of Colorado’s outstanding rivers – and perhaps bring along your fishing equipment to wet a line once the work is done! Click below to learn more and/or to sign up! 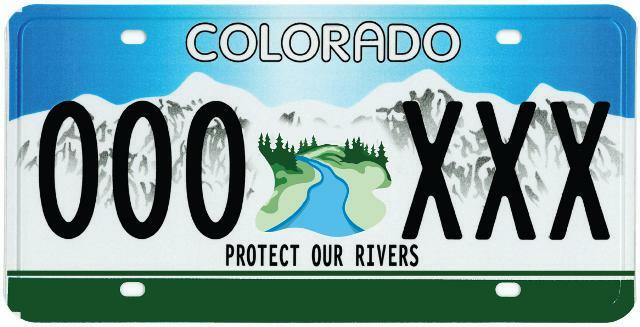 Tenkara USA's Daniel Galhardo and Colorado Trout Unlimited's Dan Omasta, Grassroots Coordinator recently sat down to talk about CTU's efforts in river conservation and fisheries protections across the state. Omasta discusses the recent policy victories for public lands as well as CTU's programs in youth education and community engagement. They also discussed the true lineage of the native Greenback Cutthroat Trout and why some anglers might be surprised to learn that they have been seeing a hybrid version of Colorado's state fish rather than a true greenback. This is because of recent a study by scientists at the University of Colorado at Boulder, where they found that the pure genetics of the greenback were isolated to ponds just outside of Bear Creek and Bear Creek itself. Take a listen below or read the full transcript of the episode here. Pictured: UpslopeBrewing Co., Western Native Trout Initiative, and Colorado Trout Unlimited. CLEAR CREEK, CO – This week, the endangered Greenback Cutthroat Trout got a major boost from Trout Unlimited volunteers and agency partners in Colorado. Once thought to be extinct, this rare fish is making a big comeback thanks to the efforts of the Greenback Cutthroat Recovery Team – a partnership that includes the US Forest Service, Bureau of Land Management, US Fish and Wildlife, the National Park Service, Colorado Parks and Wildlife, the Western Native Trout Initiative, and Trout Unlimited. Over the course of two days in mid-July, 1,700 Year 1 Cutthroats (~4-6 inches) made their way into two headwater drainages in the Clear Creek Watershed, an hour west of Denver, CO. The Dry Gulch and Herman Gulch creeks represent the first major river populations for this threatened species since it was rediscovered in 2012. To help agency partners stock these important little fish, over 80 Trout Unlimited volunteers carried the cutthroats in large packs up steep switchbacks and bush-wacked through dense brush to get to the remote rivers. Some people hiked over six miles into the top of the drainage (over 11,500 feet)! These volunteers came from ten different TU chapters and represented all walks of life – anglers and conservationists coming together to recover this native trout. “We couldn’t do it without the volunteers,” says Paul Winkle, Colorado Parks and Wildlife biologist for the Clear Creek Drainage. It was a major undertaking that took a lot of support from agency staff, non-profit partners, and local businesses. At Colorado TU, we are very proud of the hard work and dedication that our chapters and volunteers provide to these projects. It shows what can happen when people focus on collaboration and overcoming differences. It didn’t matter whether someone was young or old, Democrat or Republican, a dry fly purist or never fished before – we were all side by side, climbing those steep trails together. All to save the Greenback. Feeling inspired? Learn more about Native Trout across Colorado - the efforts to protect and restore populations and ways to get involved. U.S. Forest Service-Arapaho & Roosevelt Natl Forests Pawnee Natl Grassland, U.S. Fish & Wildlife Service Southwest Region, Pikes Peak Chapter of Trout Unlimited #508, St. Vrain Anglers Trout Unlimited, The Greenbacks | Colorado Trout Unlimited, basin + bend, Western Native Trout Initiative, Dublin Dog Co., West Denver Trout Unlimited, Cutthroat Chapter of Trout Unlimited,Boulder Flycasters, Colorado Parks and Wildlife,Trout Unlimited, Gore Range Anglers - Trout Unlimited and Upslope Brewing Company. A big shout out to all the volunteers who came out to hike and haul the native trout to their new homes, and to the various groups and agencies that came out to restore Colorado's native fisheries. Read the full story that CBS Channel 4 News did here. Pictured: Western Native Trout Initiative Sticker and Dublin Dog Co. trout collar.